4. Where Do You Sleep? 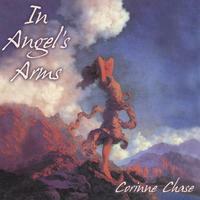 Corinne Chase's CD, IN ANGEL'S ARMS, is a beautiful collection of lullabys performed with amazingly heartfelt warmth and a "new-age" sound. This is not your typical children's album. Corinne's singing has a uniquely sincere quality which paints this project with an uncanny relaxed and reassuring feeling, so much so that many adults as well as children report finding themselves listening to it again and again. Look forward to more releases from this talented new artist. This will be nice to put my little brother to sleep.and to put everyone to sleep in the my house to. This is one of the most beautiful CD's I have found for my children; the lyrics are absolute poetry. My babies are my angels, heaven sent; this is the first CD I have found that expresses my love and thoughts regarding my children, with beautiful vocals and background music. This is a wonderful gift for ANY mother, not just a first-time or soon-to-be mother. Most perfect gift for my granddaughter soon-to-be!